Svalkande och uppfräschande tvättgele som löddrar med diskret doft av äpple och gurka. Tvättgelen innehåller exfolierande AHA/BHA-syra som hjälper till att djuprengöra huden, ta bort döda hudceller och verkar som propplösare på tilltäppta porer. Ingredienserna i tvättgelen är noga utvalda för att effektivt avlägsna orenheter, förebygga uppkomsten av nya utbrott och balansera talgproduktionen utan att torka ut huden. Aqua, Sodium Laureth Sulfate, Propanediol, Glycolic Acid, Niacinamide, Steareth-100/PEG-136/HDI Copolymer, Cocamidopropylbetaine, Lauryl Glucoside, Sodium Lactate, Urea, Glycerin, Salicylic Acid, Disodium Laureth Sulfosuccinate, PEG-9 Cocoglycerides, Allantoin, Caprylyl Glycol, Sodium Chloride, Sodium Benzoate, Parfum. Cooling and refreshing foaming cleansing gel with a discreet scent of apple and cucumber. The gel contains exfoliating AHA/BHA acids that provide a deep cleansing effect on the skin, remove dead skin cells and unclog pores. The ingredients in the cleansing gel are carefully selected to effectively remove impurities, prevent the appearance of new outbreaks and balance the sebum production without making the skin dry. Use on dampened skin to dissolve impurities. Can be used on both face and body for a smooth and clean skin. 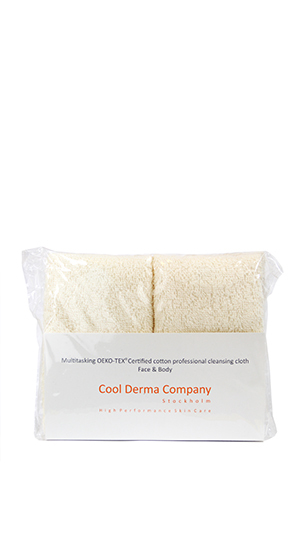 Preferably used together with the Multitasking Organic Cotton Cleansing Cloth. The product contains Alpha Hydroxy Acids with a low pH, which can cause a temporary stinging sensation. Avoid contact with eyes and rinse with water if the product comes into contact with the eyes. The skin will be extra sensitive to the sun; avoid exaggerated sun exposure and use extra sun protection. Do not use in children under three years of age. 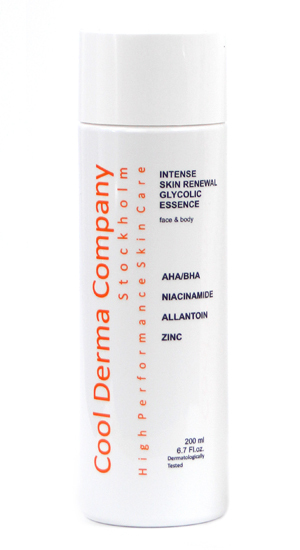 AHA (glycolic acid/lactic acid) – Exfoliating. Improves skin texture and skin tone. 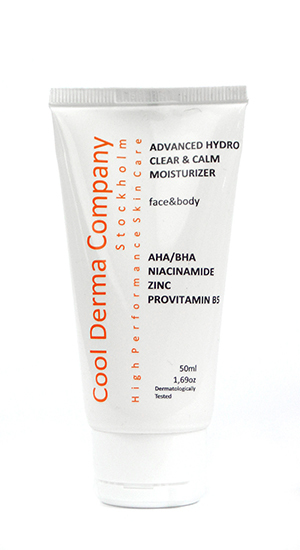 Adjusts the pH-level of the skin and has an antimicrobial effect. 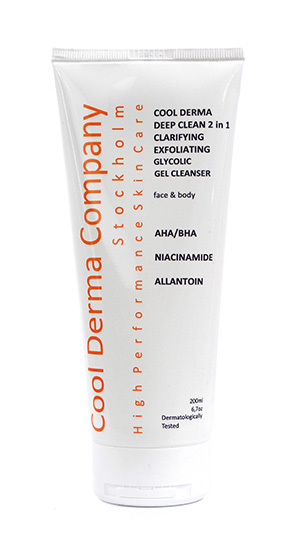 BHA (salicylic acid) – Exfoliating. Makes the skin tone and skin structure smooth and even. Calms irritated skin. Has a deep, cleansing effect on pores. Niacinamide/vitamin B3 – Nourishing. Improves the skin barrier function and the skin elasticity. Has a smoothing effect on the skin tone. Allantoin – Moisturizing. Efficiently soothes the skin. Urea/Carbamide – Natural moisturizer in the skin. Dissolves dead skin cells. Improves the skin barrier function.